A freelance Steadicam operator / owner and lighting cameraman with over 25 years experience of shooting film and TV drama, promos, commercials and live OBs. With bases in Liverpool, Manchester and London, offering production companies an ability to work quickly and efficiently within the demands of tight scheduling without compromising quality. A member of the Steadicam Operators Association, BECTU and The Guild of Television Cameramen. 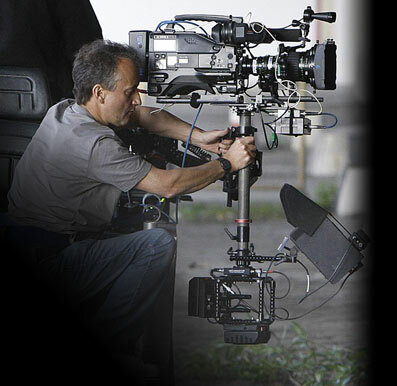 Alan's rig will fly all formats; from the heaviest film cameras to the smallest and lightest mini HDV and DSLR models. All content © Alan Glover 2010, unless otherwise stated.